A campaign launched by progressive advocacy group Public Interest Alberta (PIA) would have us believe that Albertans can have almost every government service they ever wanted, if only we would abandon our single rate income tax model. May. 23, 2014 8:14 p.m. The “Alberta Could …” campaign website features a giant ticker that estimates the government could take in an additional $2 billion a year if only they would bring in new, higher tax brackets for businesses and individuals earning more than $100,000 a year. The PIA plan would raise the income tax rate for some 122,000 Albertans who earn more than $100,000 per year from 10 to 13 per cent. For earnings over $150,000 (another 82,000 Albertans would be affected), the PIA-proposed tax rate would increase to 15 per cent. The business tax rate for companies with more than 50 employees would increase from 10 to 12 per cent. All told, the PIA plan would represent the largest tax increase this province has ever seen. PIA urges Albertans to fantasize about all the terrific things the government could do with the “found money” it would be raking in. If only life were so simple. Government drawing an additional $2 billion from working Albertans would have a dramatic impact on the provincial economy and damage our ability to attract people and investment during a fragile time when the economic growth is starting to rebound — as reflected in the job numbers that were just reported for April. A key assumption made by PIA, and a flawed one, is that the government is somehow cash-strapped. This is simply not the case. Government revenues are healthy. In fact, total government revenues are about as high as they have ever been, and Alberta has led the country in economic growth for the past two years. Last year, the Alberta government took in nearly $10 billion in personal income tax revenue — a record for the province. It’s worth remembering why Alberta adopted low single rate corporate and personal taxes in the first place, back in the 1990s. Prior to the Klein government balancing the budget and bringing in competitive tax rates, the province attempted to diversify the Alberta economy by investing public money directly into various business schemes. Some of these investments turned out OK, but many more were dramatic failures. The government’s failed forays into waste treatment facilities, trust firms and telephone companies cost Alberta taxpayers hundreds of millions. Instead, they sought to create a tax system that would be envy of the country and draw private sector investment into province without risking public money. This policy has been remarkably successful. In 1985, the energy industry accounted for 36 per cent of the provincial economy. In 2012, energy’s share had declined to 23 per cent, while industries like agriculture, manufacturing and finance have grown. The provincial economy is less reliant on oil and gas than it was 30 years ago, and that’s due in no small part to the Alberta tax advantage. But calls to abandon low taxes in favour of a tax regime like Ontario’s or British Columbia’s never go away. With the Alberta government slipping back into deficits and borrowing money to finance infrastructure, those calls are only getting louder. It’s no surprise that support for scrapping the single rate tax is growing at the political level. The Alberta Liberals campaigned during the last election on bringing back higher tax brackets and the NDP have always favoured higher taxes. 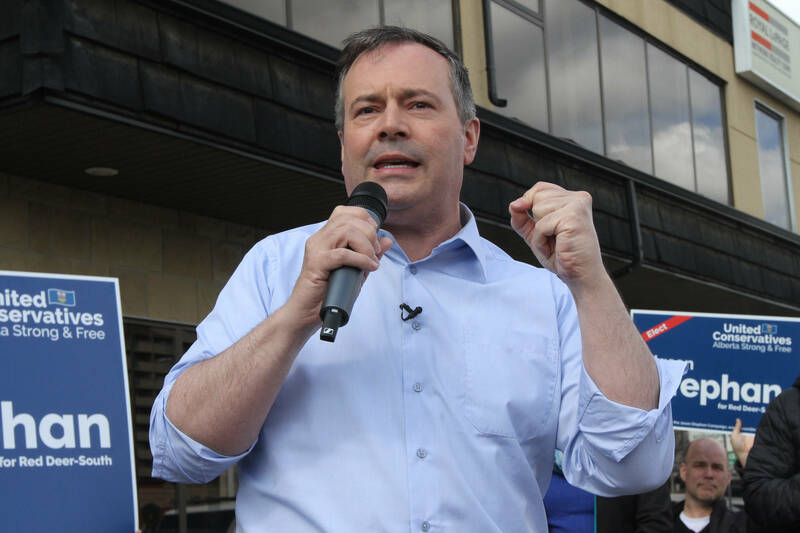 Even in the governing Progressive Conservative Party, there is support for hiking taxes — with prominent Tories like former finance minister Ron Liepert publicly musing about introducing a sales tax. The idea of simply raising taxes on high income earners and businesses is seductive in its simplicity. After all, the government could always use more money and some people can afford to pay more taxes. But abandoning our competitive and widely-admired tax structure would be a huge mistake. Alberta businesses are struggling to recruit the workers needed to fuel the provincial economy. Hiking taxes at this time would make it more difficult for businesses to get the people needed and send would the wrong message to international investors. “Alberta could” raise taxes on thousands of Albertans and businesses … but it should stick with the Alberta tax advantage that has paid tremendous dividends for all Albertans. Josh Bilyk is the president of Alberta Enterprise Group, a member-based, non-profit business advocacy organization. AEG members employ more than 150,000 Canadians in every sector of the economy.